A basic cnc programming tutorial which shows how cnc machinists can cut threads on a Siemens Sinumerik 802D sl CNC machine. 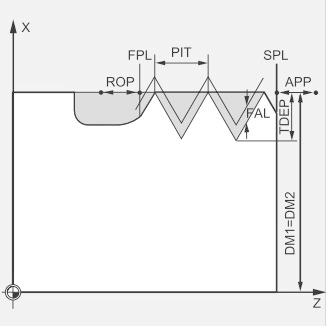 As Sinumerik 802D sl has threading cycle CYCLE97, although cnc machinists have to deal with lot of parameters, but more parameters for a cycle mean more flexibility for an operation. 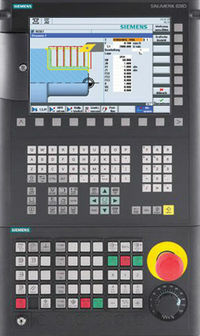 So CYCLE97 give a cnc programmer/machinist lot of flexibility while machining threads on Sinumerik cnc controls. CYCLE97 has already been explained here briefly read Siemens Sinumerik 840D Thread Cutting Cycle CYCLE97. 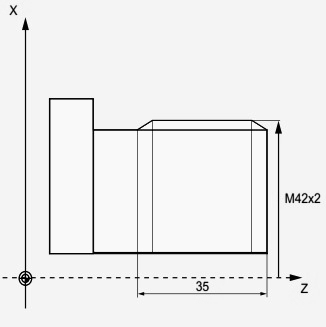 By using this program, you can produce a metric external thread M42x2. Infeed is carried out with constant cutting cross-section. thread depth of 1.23 mm without finishing allowance. At completion of this operation, 2 idle passes will be carried out.